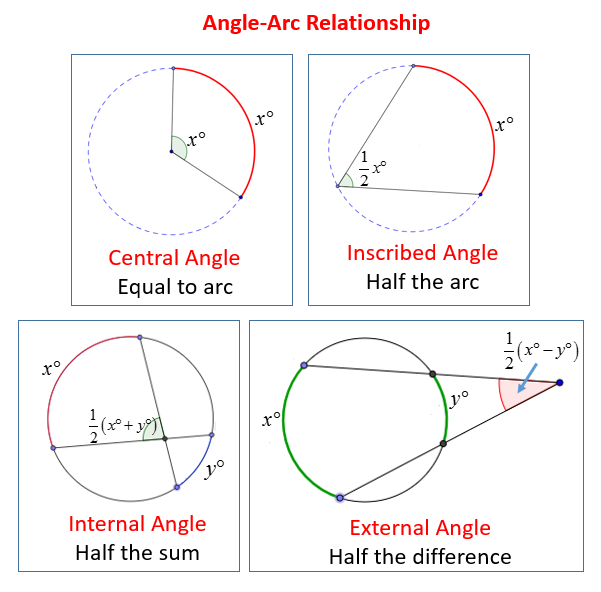 Examples, solutions, videos, worksheets, games and activities to help Grade 9 and Geometry students learn about central angles and arcs. Students learn the definition of a central angle, and that the measure of a central angle is equal to the measure of its intercepted arc. How to Find the Measure of a Central Angle when Given its Corresponding Arc Degree? How to Find a Central Angle? How to Find a Central Angle When Given a Radius and a Tangent?